One of the main things that I believe make live engineers worth their day rate is the ability to create a great mix very quickly. Given no time constraints and the proper tools, I’d say almost anyone who has a good musical ear can create a great mix, but not many can do this under pressure in a live situation. Festivals are a perfect example of this. Now the band is checking and the singer is about to step up to the mic. You know this is going to be short and sweet so focus on the vocal. Step 3. 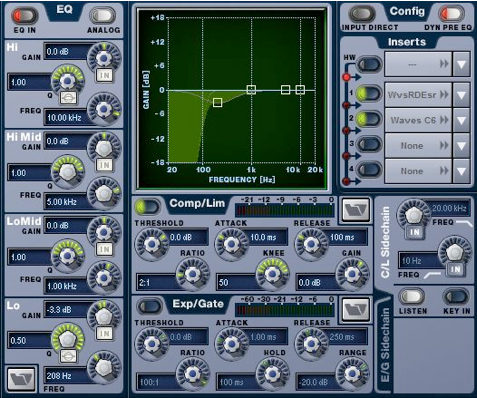 EQ the vocal using a broad Q factor to make it as natural-sounding as possible. Typically for me this just involves pulling out some of the low-mids up to 1k, but leaving enough warmth as to not sound sterile. I will rarely pull HF out of vocals using EQ. Step 4. Now pull up C6. Start by dropping the master threshold down just a bit until there is light compression on most of the frequency bands. The bands are usually right on (I’ve found that the only frequency band I ever adjust on my preset is the upper parametric band, which I use to hone in on harsh frequencies). 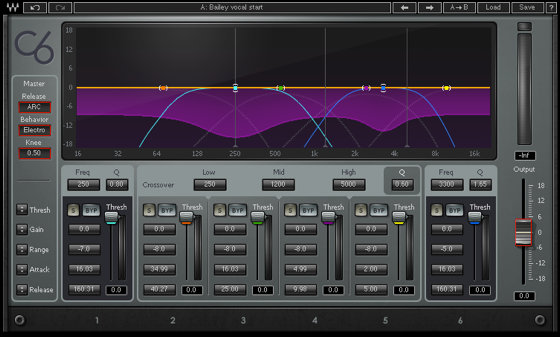 Then, as you’re listening to the post-EQ vocal, adjust the threshold on the bands that you think need to be compressed. The light blue and orange bands are great for cleaning up the vocal, helping tremendously with clarity; and if harshness is an issue, the purple band will compress it out like magic. Step 5. Adjust the channel comp if necessary. Step 6. If you are hearing any harsh S’s, pull up the R-DeEsser and drop the threshold down just enough until they fade away. Be careful not to de-ess too much, as the vocal will start losing clarity and you will dig yourself into a hole trying to fix it. A lot of times I will add Q10 to the signal chain, in case I run into any feedback issues, as this is a perfect tool for weeding out those frequencies. 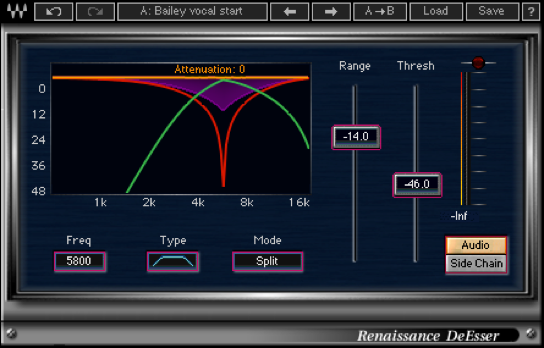 Finding a balance between equalization and multiband compression is key to creating a great, natural-sounding vocal in a live environment. As with anything, the more you do it and become familiar with the process, the quicker you will be able to discern what you need to do to correct that vocal (or any other input) and dial it in on the console. 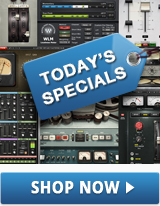 When you’re not on the road, it’s not a bad idea to find some raw vocal stems, fly them into your DAW, set up the channel like you would live, and just practice using the plugins and going through the process. If it gets boring... time yourself to 20 seconds.